Play it now (no download required! ), and/or read more below. To quote from the late, great Chuck Jones: "I don't know where ideas come from." As with some of my previous projects, at first I had intended to do something else before settling on what became Four. In this case, my original idea was to do a walking simulator set during a certain part of Epistle 3. The form it would've ideally taken would be that of a Source-based mod. However, perhaps because Three is not Four, when a very different idea popped into my head one day, I decided to go with that one instead. 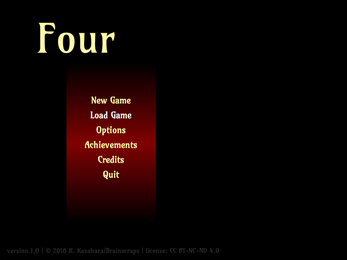 Four was also my favorite number when I was a kid, but I'm sure that's just a coincidence. 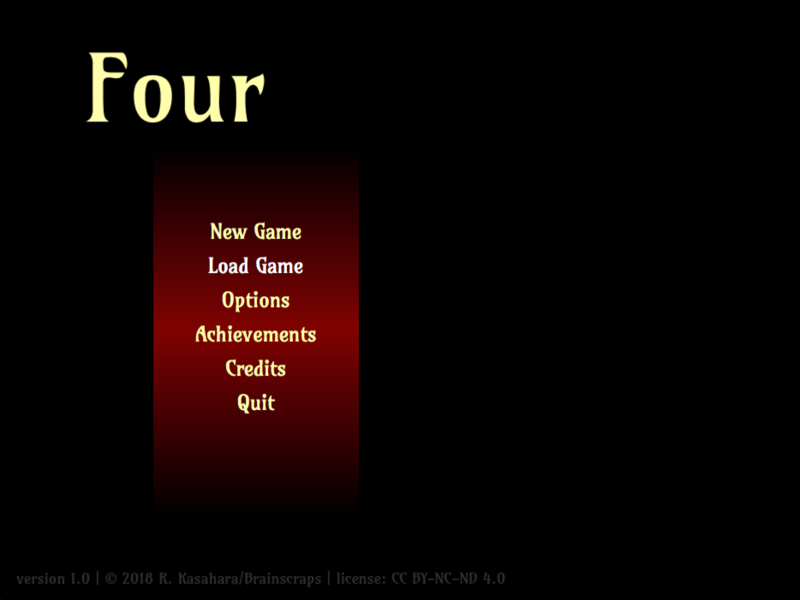 Four should run in any modern browser in any operating system. Please make sure the Web Storage API for your browser is enabled for the best possible experience. A standard mouse and keyboard is required. There is no (intentional) controller support. The full credits can be accessed within the game after a certain point. The original content in Legend of Cascadia is licensed under a Creative Commons Attribution-NonCommercial-NoDerivatives 4.0 International License.